Be Better. I like the sound of that. Simple. To the point. Inspiring. And, so empowering. It is the name of a movement as well as a 52 week health challenge that addresses both your physical and mental health while simultaneously raising funds for various charities. Gotta love that! The Be Better CEO and UCLA masters graduate, Aly Simons, contacted me recently in hopes of spreading the word of her worthy efforts. It is exactly the kind of thing that The Health-Minded likes to encourage because a healthy lifestyle does encompass your body, mind and spirit and is a whole lot about improving your daily habits. And, this challenge, this movement will help you adopt some pretty healthy ones rather easily. I have a brief interview for you today with Aly that I think will warm your heart and pump it up at the same time! I wanted to let her tell us in her own words exactly what she is doing here, her goals with the movement, how it can help you and others — you know, just in case you want to jump in and “Be Better,” too. 1. Aly, please share with us how the Be Better Movement began. Please tell us your background, training and how and why you started the project. I grew up in a family that discussed mental illness around the dinner table like we were discussing the weather. With a casualness regarding the serious topics of mental illness, my family taught me that mental health is something to be normalized. With an extended and immediate family loaded with anxiety and depression, there was no way around this reality. It was my nana’s lifelong battle with anxiety that inspired me in 2008 to pursue my Masters in Social Welfare from UCLA. While there, I learned about the positive effect of a healthy lifestyle on mental health. I wanted to come up with a way to inspire people to improve their mental health with physical fitness. I had been living in Newport Beach, CA, frustrated by the lack opportunities to meet new friends. I wanted to find a community of like-minded women who believed in the link between mental and physical health. Since I couldn’t find it, I created it. I organized a community that worked out together twice a week while discussing mental health and called it Be Better Bootcamp. Over the course of 3½ years, it became obvious that Be Better was ready to be more. In addition to self-improvement, I wanted a global improvement component, and so did its members. Therefore, the Be Better 52 Week Challenge was created. It turns self-improvement into global improvement by creating a community of people committed to weekly challenges that turn into donations to charity. We believe that it’s only when you care for yourself that you will have the energy to care for the world. Within four years of it’s founding, what started with a like-minded group of local women has turned into a global movement of like-minded individuals all over the world. Although the challenges are individual, it is the combined efforts of all members working together that impacts the world one challenge and donation at a time. 2. That is something I know a lot of people would want to be part of, Aly. Can you please walk us through how it works for a member once a member joins the Be Better Challenge? Please include all fees. Every week members receive an email wellness challenge that focuses on simple self-improvement. With every completed challenge reported by Sunday of the same week, $1 is donated by a sponsor to charities spotlighted by the Be Better Movement. If members choose to inspire others by posting a picture of their completed challenges, another $1 is donated on top of that! The best part is that although it is a 52-week challenge, the 52 weeks start from whatever date you sign up. If you start March 2015, then your membership will last till March 2016. 3. Can you describe a typical member? Good question. The typical member tends to be a busy educated woman aware of all the things she “should be doing” and who appreciates a guided nudge that helps her focus on one meaningful thing per week. She is the mother, wife, and individual motivated to be happier and healthier but who might feel paralyzed by the overwhelming amount of information available. She is open-minded about new ideas and excited by self-improvement. She cares about others and wants to be involved in something bigger than herself, but needs it to be manageable and doable because she already has a lot on her plate. 4. Great description! I am sure many could see themselves in that. What are the health benefits one could expect by joining? The challenges are meant to improve both physical and mental health. We are all busy, so we make sure every challenge added to your plate has a purpose. Within one challenge you will gain four different benefits: education, execution, inspiration, and impact. We will give you a challenge such as drinking lemon water every morning. You will learn why it’s important to drink lemon water. You will then practice drinking lemon water first thing in the morning. You will then inspire others to drink lemon water by posting a picture (optional) on social media. The money will be raised for charity for every completed challenge and every picture posted. 5. Could you please provide a few examples of what a typical challenge would be each week? The challenges tend to alternate focuses every other week. One week is geared more toward your physical health and another toward your mental health, but we all know how intertwined the two are. Examples of the challenges that we have had thus far range from drinking lemon water, setting your cell phone aside for 15-minute timeouts, morning herbal tea, and creating a morning routine. 6. I like the sound of alternating challenges, and they are all easily incorporated into a day and not overwhelming. How long does a typical challenge take? Each challenge is given for one week. After that week of practicing the challenge, it is your choice whether you want to continue it as a lifestyle change. It is up to you to decide if you actively completed the challenge. They are meant to be achievable and add value to your life. 7. On to the charities. Tell us about the ones you have chosen to receive the donations. What do they do and how do they help? The charities are handpicked to fit within Be Better’s mission of self-improvement and global improvement. Within the category of self-improvement, our chosen non-profits focus on mental health topics such as suicide prevention, mental health awareness, and PTSD. Our global improvement non-profits focus on women empowerment. I have spent a lot of time traveling internationally to developing countries, including seven times to Kenya, and we feel strongly that one of the most influential ways impact a developing country is through education and by empowering women. We have chosen a total of seven non-profits to be highlighted independently for two months at a time. This January and February, it was Kenya Keys. For the next two months, it will be the UNICEF Tap Project. 8. Nice choices! Do you plan to share how the members’ fees/donations are used in the charities? Every week we calculate the completed challenges and announce the total money raised. Our main form of communication is through our members-only email sent on Monday’s and Thursday’s. 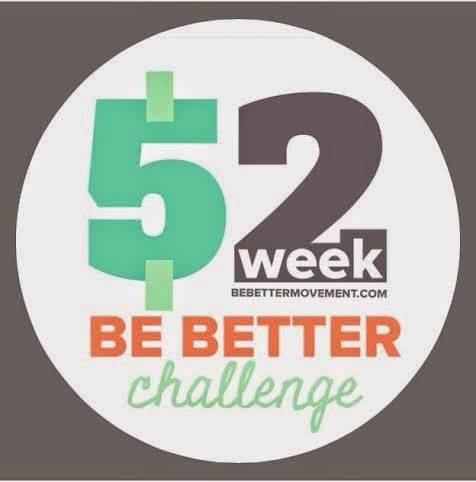 Another great way to follow the progress of the 52 Week Be Better Challenge is to follow us on Instagram @mybebetter. 9. Is the Be Better Movement connected to social media? Is there a way members can share their progress or communicate with each other? Be Better Movement actively uses Instagram as a way to communicate the weekly challenges, along with our favorite post of the week and charity updates. We are committed to creating a connected community. The way in which we interact is through the #bebetter52 where others post pictures of their completed challenge. 10. Where can one go to obtain more information on the Be Better Movement? You can follow us @mybebetter on Twitter and Instagram and Facebook. Also, more information can be found on our website here. 11. Please share a few of your favorite health practices one could do to lead a healthier life. I was the type of anxious kid at 11 years old that decided I wanted to log my food intake just as a way to control my life. That is not normal, and my parents knew early on that I was a very “black or white” child. I was the type that could have very easily had an eating disorder because of the extremes of my life. Luckily, with early intervention and therapy, I began my journey of finding balance. Therefore everything that I strive to do within the topic of health is with balance in mind. I have met a lot of physically “healthy” individuals that struggle with mental health. My motto is that “happiness is healthy.” In order to be happy you need to be healthy. In order to be healthy, you need to be happy. Approaching a journey in living a healthier life with that mindset is incredibly beneficial in all practices of health and wellness. 12. Such excellent points, Aly! Last question: Is there anything else you would like to tell The Health-Minded about the Be Better Movement? The 52 Week Be Better Challenge gives members tangible ways that they can improve their lives one step at a time. Sometimes we feel like we have make huge changes in our lives to achieve self improvement when really it is the little changes that add up to a happier and healthier self. Likewise, we often feel we need to donate larger sums of money to make a difference. The reality is the same, it is small things we do that add up over time, especially when we come together with one mission: to Be Better. Join the 52-week Be Better Challenge with me for free (for the first 20 sign-ons) using a coupon code explained below. Some people to inspire you to do better right here! A great chef to nudge you along with easy clean eats! This post was shared on Jill Conyers blog. It really is! Aly has done a great job in bringing people together for a whole lot of good! Please tweet and share and tell your friends! That would be terrific for you to join with your client, Sheila! Great idea! Use the coupon code if you like. This sounds awesome! I signed up and was able to use the code. Thank you! I'm excited to get some motivation to make some positive changes. Fantastic! Glad to hear you took advantage of the code. Best of luck to you and please tell your friends to join as well! What a great idea to include a charity portion of the program. Much success to you! Oh my! I can't take the credit for this, Jill! It's all Aly and her efforts. I am just spreading the word! Hope you will join up and share with others who many be interested. Thanks so much for coming by! This sounds interesting and possibly an easy way to donate to a worthy cause doing something for yourself! It is, Cassandra! Please do tap on the website link and check it out and use that free coupon at the end of the post. You may learn some really easy ways to improve yourself and help others out, too! Thanks for coming by! 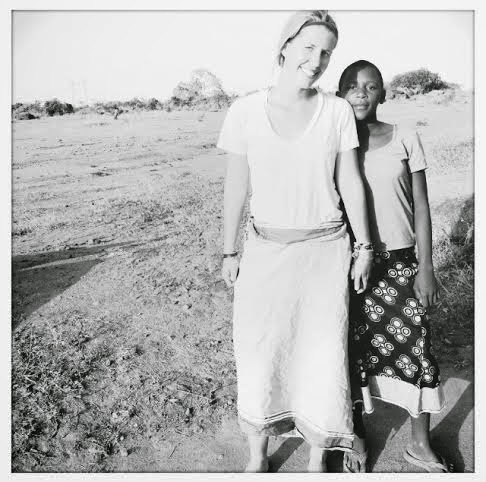 You are right – it is not high pressure and Aly is really trying to create a community here that is supportive. Thanks for commenting, Laura! Please do share it Gingi – tweet, pin — whatever — It is such a good cause. And, remember there are free ways to join using the code, but I know your plate is full with that new darling bundle of joy in your life! Thanks for commenting. Nice to hear from you. I haven't heard of this before, but it sounds great! It really is a worthy effort all the way around. I hope you will sign up, Dannii!